High school students can develop innovative solutions that make the world a better place. All of our student teams take a human-centered approach to develop physical technology products that solve a need in their communities. 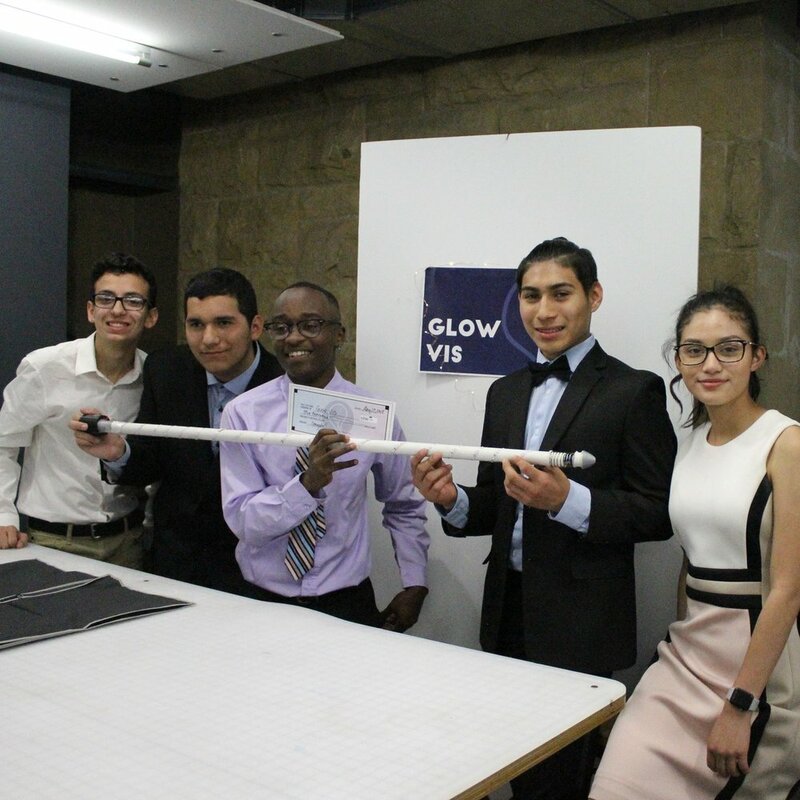 Students work directly with people in their neighborhoods who face unique challenges, and learn how to invent solutions that create a better, safer, more equitable world. Here are some projects from across the years. A smartwatch for women to alert their friends when they are in unsafe situations. 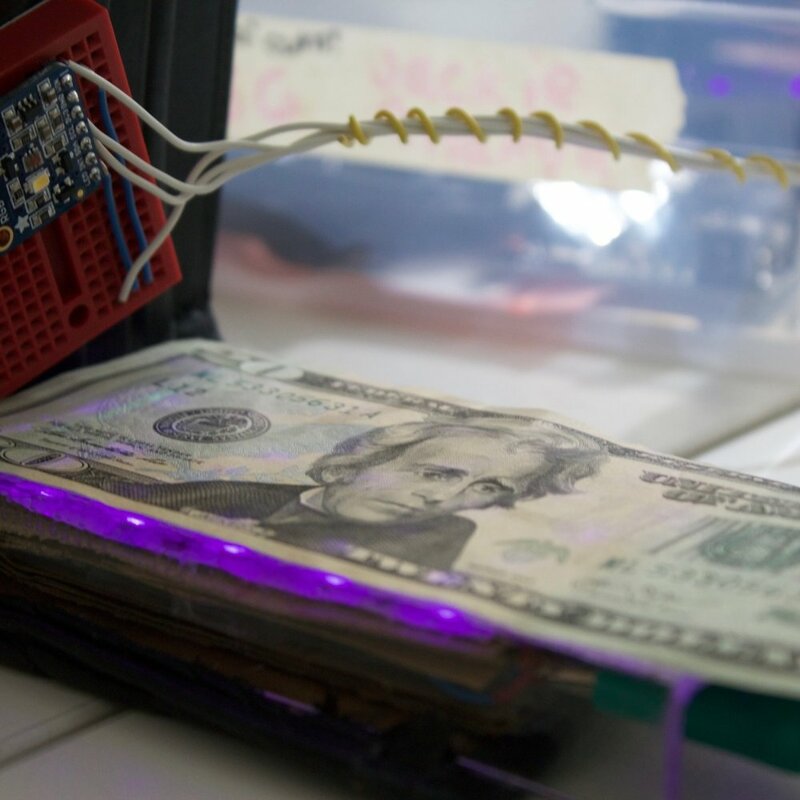 A smart wallet for the visually impaired to detect bill denominations. 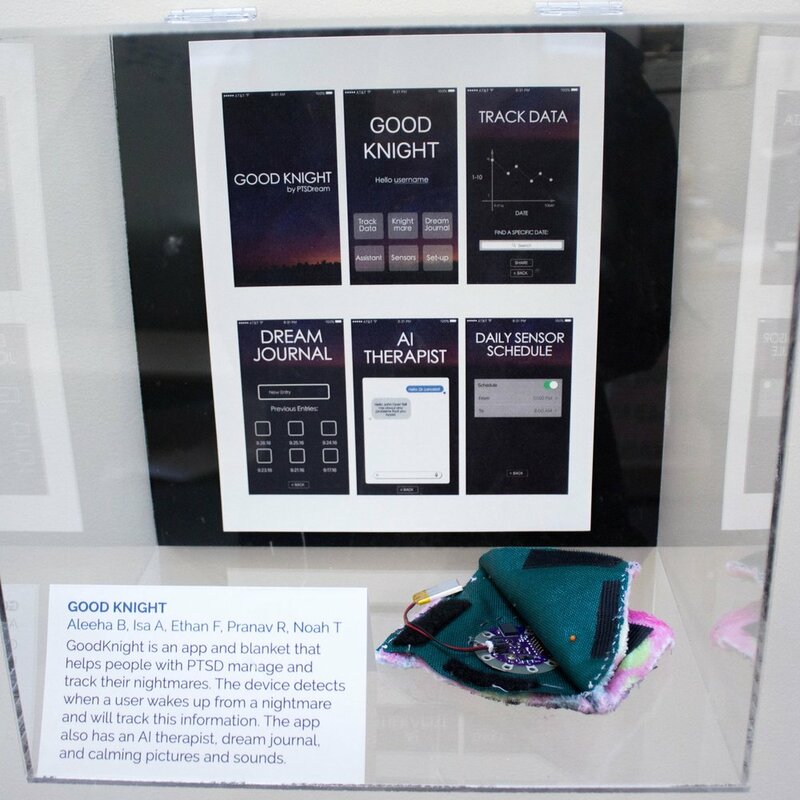 a smart blanket attachment for people with PTSD to manage their nightmares. An updated blind cane design with flashing LEDs, tactile feedback, and shock absorbance so users can navigate safely and painlessly ($1700 in funding).